When you buy a home, you’re in it for the long haul. You’ll have a mortgage payment for years, so it makes sense to find the best mortgage lender you can. To do that, shop for offers from at least three lenders. Compare mortgage rates and other loan terms such as fees, time to close, the availability of online application and loan tracking, and customer service offerings. Taking the time to make an informed decision can save you thousands of dollars over the life of your loan. You should still get preapproved before you house shop, make sure your credit history is accurate, check your credit score and evaluate how much home you can afford before you take the plunge. To help you choose a mortgage lender, NerdWallet has picked some of the best out there in a variety of categories to help you get the home loan with the best mortgage rate, term and fees. These lenders offer a wide variety of home loans, the ability to serve customers from all walks of life, competitive loan terms and robust customer service for home buyers. Offers full line of mortgage loans. Is the largest FHA lender in the nation. Has a 1% down payment program for qualified buyers. Rocket Mortgage, Quicken’s new offering, allows you to complete the application process online. Is a full-service lender that offers underwriting flexibility, low down payment programs and strong online tools. Charges a flat origination fee. Considers income from multiple jobs. Has multiple assistance and grant programs. More borrowers like getting a mortgage electronically, yet talking with an experienced loan officer still matters. Look for online lenders offering both. Apply for a mortgage on a mobile app or online. Reduces waiting for answers with rapid decisions on applications. Easy import of financial data saves borrowers time. Refinances with zero origination fees or broker commissions. 620 minimum required credit score to qualify. An automated service may suggest ways to improve your mortgage rate. Because this is not your first mortgage, you want a lender that processes a refinance efficiently and helps you easily find the best rates and loan options. 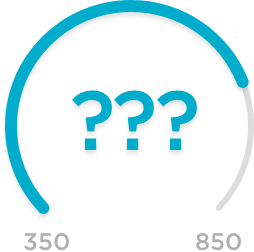 Many loans require a 620 credit score; typical borrower has FICO score just over 720. Offers live chat and Saturday customer service hours. A dedicated loan officer assists you through the loan application process. Fixed-rate, adjustable-rate and jumbo loans and access to FHA, VA and USDA products. Options for borrowers with low down payments and nontraditional credit histories. Customer assistance via chat, online, phone and in-person. Lenders who work with first-time home buyers are experienced at helping borrowers qualify for FHA loans and other mortgages with low down payment requirements. Participates in first-time home buyer programs offered through some state housing agencies. Low minimum credit score for government loans. Down payments as low as 3% on conventional loans. Lends to borrowers with credit scores as low as 500 in some cases. Considers alternative credit data, like bank statements and rent payments. When you are shopping for a VA mortgage, it is important to work with a lender that has deep knowledge of every aspect of the program. Serves veterans and active-duty military personnel with full range of government loans, including USDA, VA and FHA. Low complaint volume with CFPB. Largest lender of VA purchase mortgages. Provides full array of mortgage loans and services. Uses underwriting model that allows greater loan flexibility. Requires some affiliation with armed forces or Defense Department, or membership of a relative. With so many lenders offering FHA financing, you need to shop around and compare the best options. Manual underwriting allows lender more flexibility in approving loans. Focus on minority and nontraditional mortgage borrowers. Minimum credit score: 620 for conventional loans and 580 for FHA and VA. Numerous purchase mortgage options, including VA and FHA. Offers low down payment products with no private mortgage insurance. Available in all U.S. states.